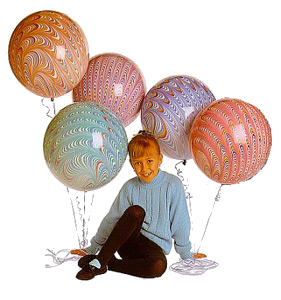 18" Peacock Balloons are punch balls with beautiful peacock feather patterns. These gorgeous balloons are durable and hand crafted one by one using special techniques. We have five beautiful colors: red, blue, orange, green, and purple. Contens: Peacock Balloons 50 pieces (assorted five colors) & Rubber strings for punch balloons 50 pieces.